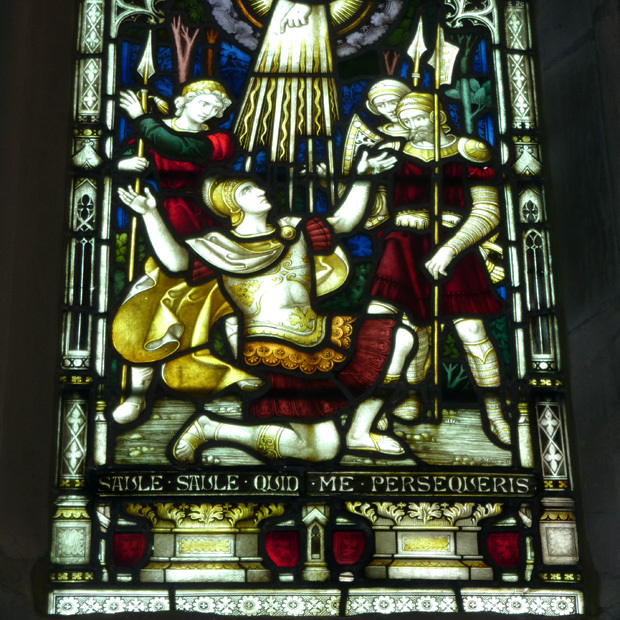 Due to some damage to the painted pieces and leadwork of the East window we were asked to carry out some repairs. 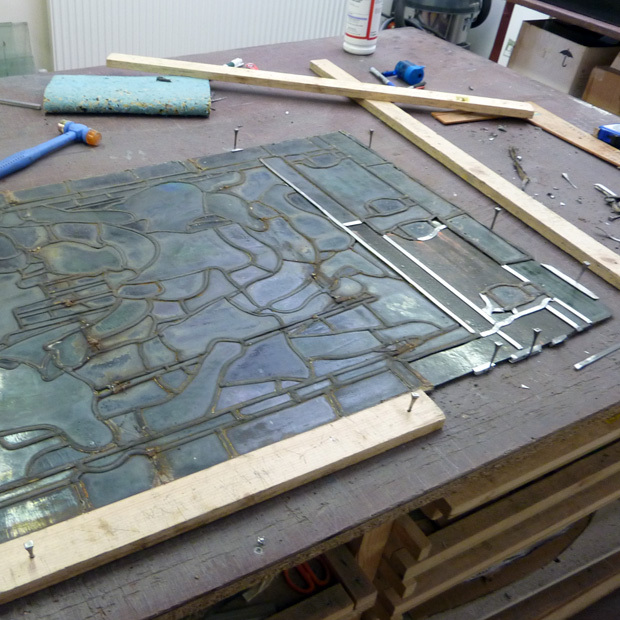 After taking out the damaged stained glass panel and boarding up we carefully removed all of the broken glass and damaged lead. 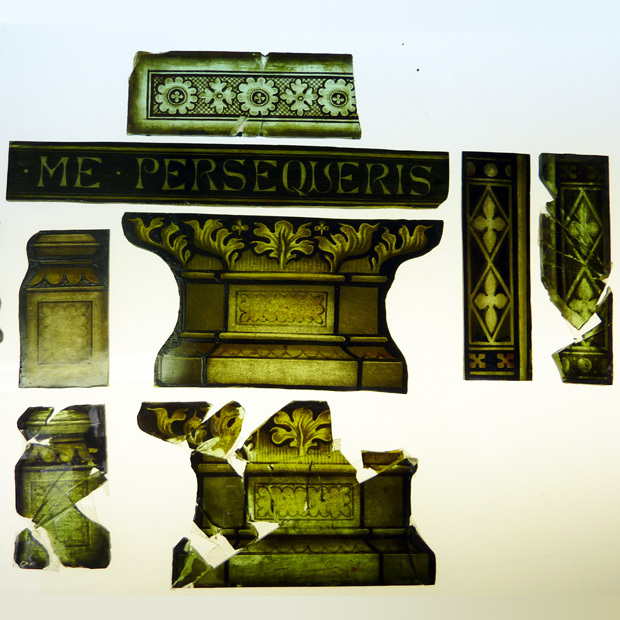 All damaged fragments were carefully pieced back together and if possible glass bonded together. If this wasn’t possible we replicated them through painting and silver staining. Any re-leading work was kept to a minimum avoiding any unnecessary costs. The panel then had new copper ties fitted and was re-fitted using a traditional lime mortar mix for re-pointing.